since we got engaged, we’ve had to do a lot of gift registering. we thought that would be the fun, easy part. who doesn’t want to pick out gifts for other people to buy them?! we were so wrong. it was super difficult, because we just don’t know where we’re going to live after the chef graduates from medical school. it could be houston, it could be new york city; it could be a four bedroom house with a lots of storage or a one bedroom apartment with no kitchen cabinets. 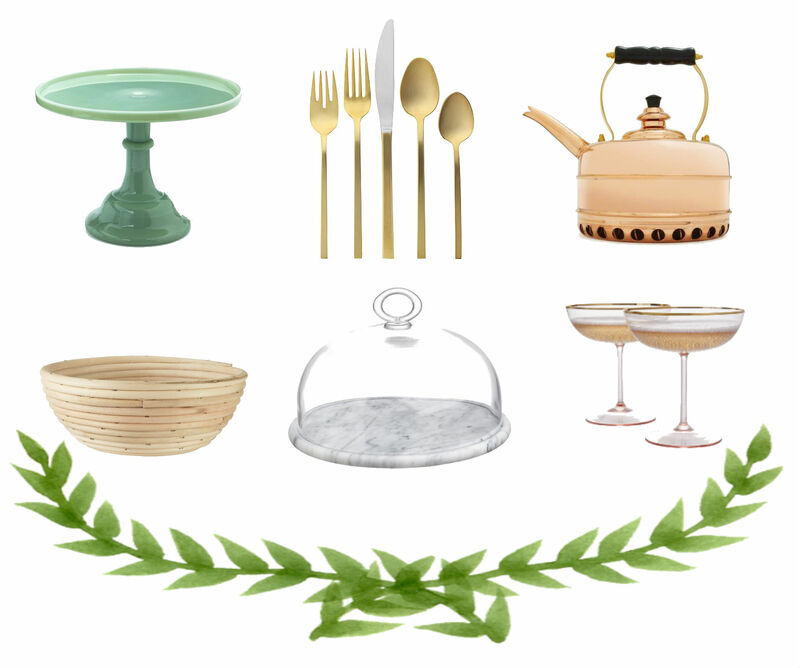 anyway, here are a few of our favorite registry items, that we know we can use wherever we end up – and if you have some extra christmas cash to spend, we think this would be the perfect way to spend it. i must add, the chef did an excellent job picking out christmas presents. in addition to a beautiful necklace and some other great gifts, he bought me two big, shiny, stainless steel all clad pans. what more could a girl need? what’s on your culinary wishlist?